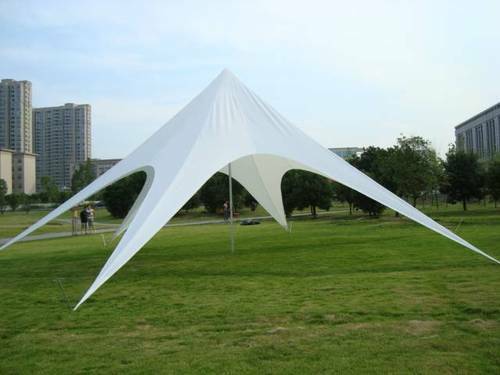 We are involved in offering an extensive range of star Tent to our esteemed customers. The tents that we offer are made from the implementation advanced tools and machinery. The Flag Company (TFC) is one of the largest manufacturer, exporter of Table Miniature Flags, Tear Drop Flags, Wind Dance Flags, Logo Flags, Outdoor Flags, Car Flags India. We make national, corporate flags, big flags stand, foldable banners, sports, political, religious and any other kind of customized flags/banners for the local (India) and international market. Our competence lies in our flexible and low cost production infrastructure that gives us the ability to manufacture both small and large quantities of customized flags in high quality and at very competitive costs. With 15 years of rich experience in textile and printing, TFC has been in the manufacturing business since 2006. In a short span of time TFC has managed a substantial market share making in-roads into the local and international markets like Africa, Europe and South East Asia. Since inception TFC has been growing in turnover by more than a 100% year on year. Some of our prestigious clients are Board of Control for Cricket in India (BCCI),Indian Premier League,Indian Army etc.